"Margaret, I love u." Hawkeye said. She smiles.... I love you ...too. She looks up at his eyes...happy. Hawkeye smiled. "Well, to the officer's club we go." he said. She nods....To the officer's club we go..a night of fun. I look foreward to it. 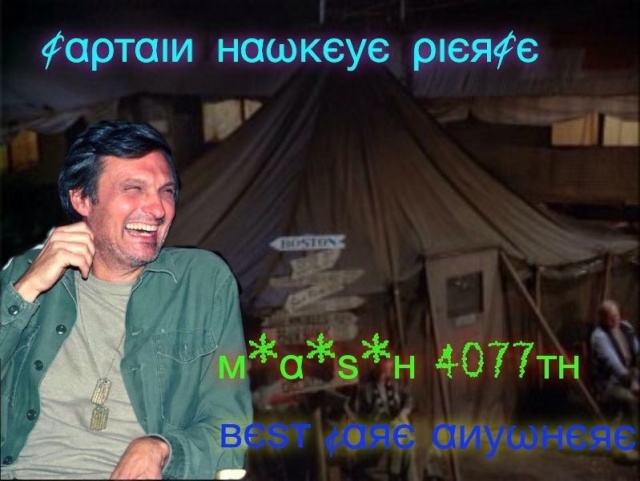 Hawkeye smiled. "Keep your money in your wallet. Like I said, drinks are on me." he said. She nods...awe thank you Hawkeye...she sits close to him as they sat at a table where a candle is lit. she looks around...nice here ....tonight. Isn't it? Hawkeye nodded as he asked Klinger to fetch a few beers for he and Margaret. "Yeah. Our usual table." he said. Klinger does that and shows them a nice table and even put a table cloth on it... Some dinner on the house too...Klinger replies. Hawkeye nodded. "Thanks Klinger. I do appreciate it." he said. He nods...allright...well a nice date with the lady? that doesn't come by every day. 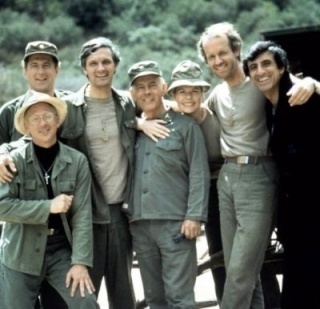 Hawkeye looked at Klinger. "Do u mind?" he asked. Hawkeye couldn't believe he was alone with Margaret. It had taken them so long to finally become more than friends. "Dance with me, Margaret." he said. She nods...I would love to..she smiles taking his hand and they go out to the dance floor. Hawkeye stared into Margaret's eyes and smiled. "U do know no one has ever made me feel the way u have, Margaret." he said. She looks at him... Well thank you Hawkeye.. she winks. Smiling at him . they dance across the dance floor. The music so sweet and divine. she is so light on her feet. He is as gentle as can be. The night is the most wonderful than she has ever had.